With the purchase of any of the Hemapro products, you’ll be able to get lots of gifts. 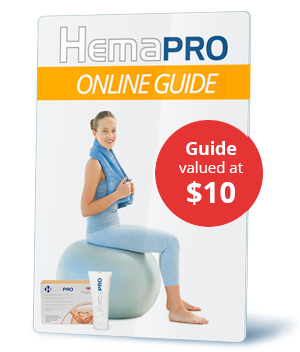 Thanks to the gift hemorrhoids guide you will receive when buying any of the two Hemapro products, you’ll get to know in detail the most common causes of hemorrhoids and how they can be solved. You will discover the types, symptoms and how to prevent this problem thanks to this complete guide. By buying several units of the same product, you’ll get a lower price on each one.